Nelson Garden is currently one of the market’s leading players in the garden industry and has the Nordic region’s largest assortment of seeds. In addition to seeds, they offer tools, accessories, onions and plant care. Nelson Garden is active in much of the Nordic region and aims to bring more joy to gardening and cultivation. 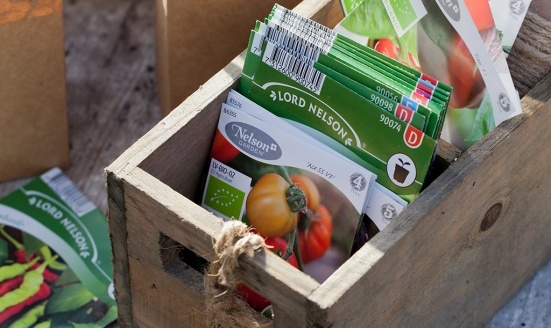 For Nelson Garden, Språkbolaget translates texts for seed packets, labels and other marketing material. We translate into Danish, Finnish, Estonian, Latvian, Lithuanian and Russian. Space is often limited on seed packets and labels, which challenges us to create professional translations with the right information that fits in a limited amount of space. Nelson Garden turned to Språkbolaget when they were looking for a partner for language solutions. Språkbolaget assembled an engaged team of project managers and translators and a proposal for an effective process based on the customer’s wishes and needs. With clear service-mindedness and close cooperation with the customer, we deliver a result with which the customer is extremely satisfied.